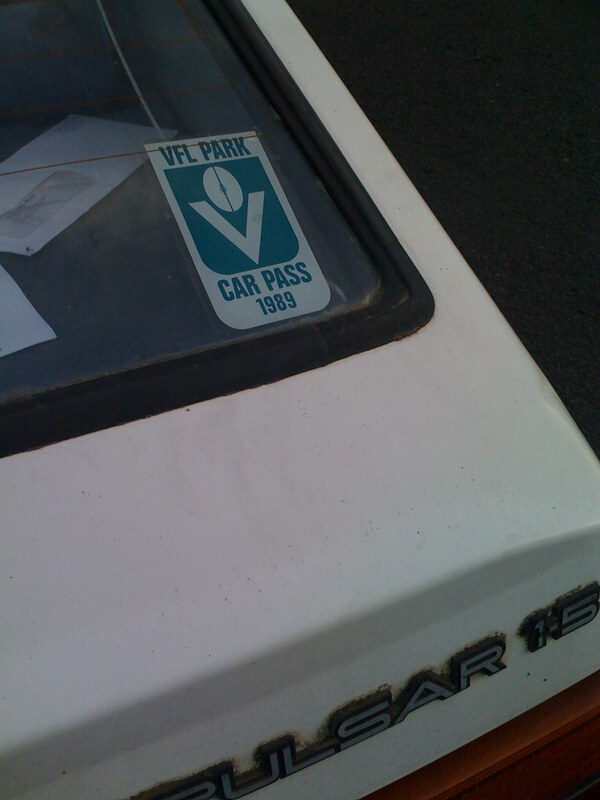 This car used to be parked across the road from us and I passed it a million times. Then one day I thought….why not take a photo. 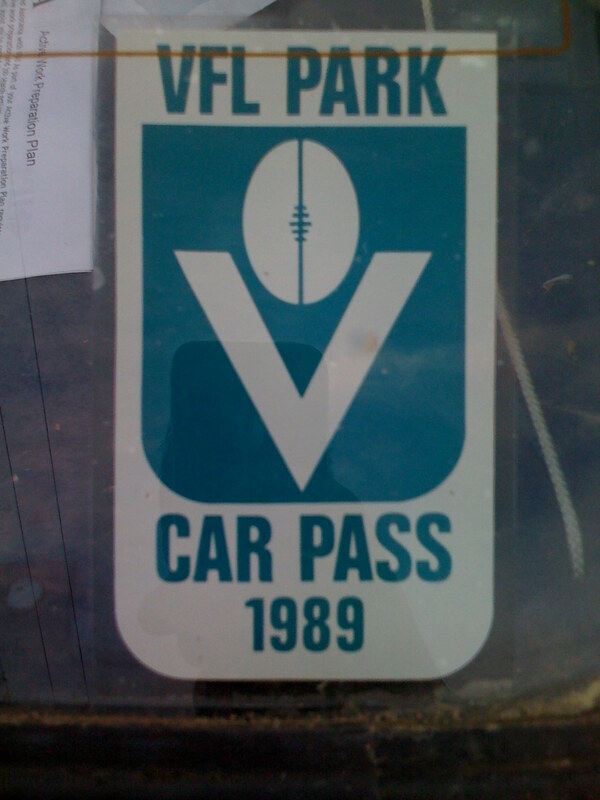 Not only is it a Nissan Pulsar from the late 80’s, this little sticker allowed entry into VFL Parks car park, either of two exits! What was missing was the ‘enter at risk of not getting out again before tomorrow’ slogan which we came to know so well.